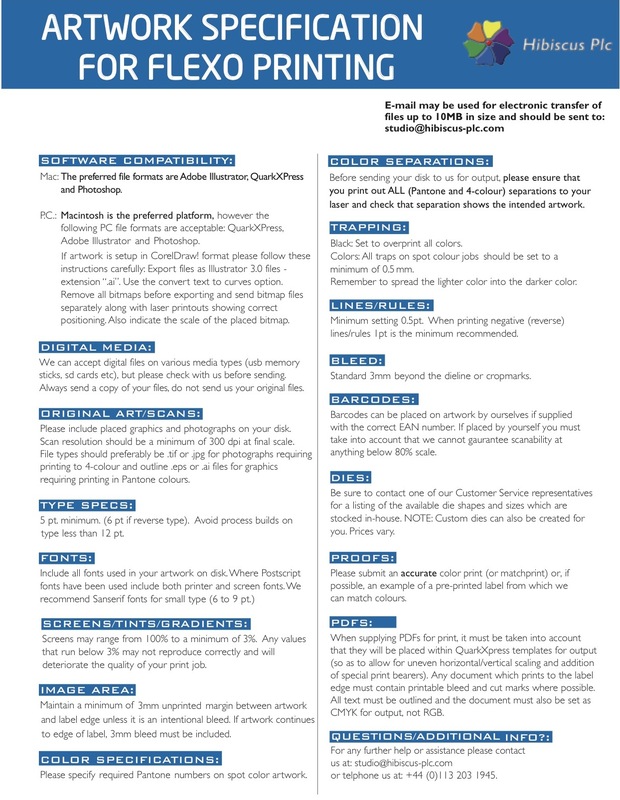 If you are supplying artwork files for printing, please see our Artwork Specification Sheet for detais and guidelines. We accept files in various formats and are able to assist with any technical issues that you may have. We prefer artwork provided in high-resolution PDF, TIFF or JPG formats. If you have questions about your artwork file, or you’d like us to check the quality before you place your order, please email the artwork to: studio@hibiscus-plc.com.